We have the largest selection of custom lapel pins available anywhere, using only the finest materials. 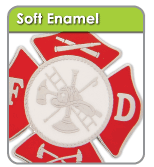 Lapel pins are a great way to market and brand your organization or business. 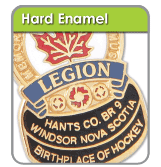 Custom lapel pins have many uses from employee recognition, sporting events, service awards, fundraising, trade shows and more. Full-color proof with 3D effects to simulate what your finished pin will look like. 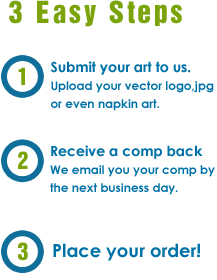 Use them to build your corporate image and strengthen your corporate spirit. 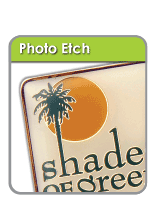 Use them to show your corporate colors at trade shows, sales meetings and conventions. A lapel pin looks great on employees of both small and large companies and will make a lasting impression at an outstanding value. 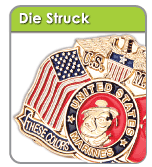 Easily recognize members of companies and associations by wearing lapel pins. Use them to promote or encourage membership. 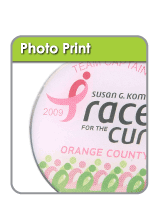 They are great for fundraising and to promote goodwill. Lapel pins are used to promote awareness such as breast cancer and autism. Many organizations use lapel pins to promote their message. Many people start collecting lapel pins when they are young and remain loyal to this hobby for their lifetime. A beautiful handmade pin is always an excellent gift.